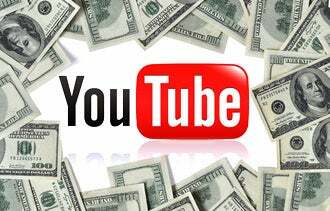 YouTube, Google's monster video publishing platform, is giving away up to $50 million to entice small-business owners to sign up for a video advertising service it announced today. Called Google AdWords for video, YouTube says the service will more or less replicate features from Google's AdWords for search -- such as pay-per-click and setting budgets with bids -- for video advertising. Businesses can receive a $75 credit when they sign up for AdWords for video, YouTube says. "We want to democratize access to video advertising for small businesses that have smaller ad budgets, and to make it easier for advertisers to see the value, to see exactly how many people are engaging with their ad," says Baljeet Singh, YouTube's group product manager. After setting up, users can create and manage video campaigns from the same platform as their search and display ads, YouTube says. From there, users can set a budget and only pay when someone chooses to watch their video ad. YouTube will track who watches ads through TrueView, a service that allows viewers to click on a button and skip out of a video ad after five seconds. The advertiser is only charged if the viewer decides not to skip the ad. TrueView ads formats include in-stream ads, in-search ads and in-display ads. The program launched in beta late last year with several small businesses participating. So far, YouTube has seen up to 45 percent of viewers choose to watch the TrueView-enabled ads all the way through -- despite having the option to skip out, Singh says. AdWords for video can also enable advertisers to promote their video ads by keyword to appear in YouTube search results, or to show an ad against content their customers are most interested in, YouTube says. And in terms of tracking ROI, it can tell users how many viewers watched their entire video, visited their website, stayed on their channel to watch another video or subscribed to their channel after viewing their ad. For first-timers, YouTube has created an Advertiser Playbook offering tips and advice on creating engaging video content and how to promote video with ads. Will this new program entice you to start advertising your small business on YouTube? Leave a comment and let us know.